Bundesliga | Iceland at the World Cup; Augsburg off to best-ever start: Alfred Finnbogason's season a Song of Ice and Fire! Alfred Finnbogason (r.) has his sights set on a memorable year with Augsburg and Iceland. Iceland at the World Cup; Augsburg off to best-ever start: Alfred Finnbogason's season a Song of Ice and Fire! The fire burning beneath his talented feet, Augsburg’s Icelandic striker Finnbogason has been a leading light in the Bavarians’ best-ever Bundesliga start and with international dreams also coming true, the 28-year-old is revelling in a career-defining hot streak. His talent having spanned seven countries and taken in eight clubs, the 28-year-old has registered 129 goals in 244 games across all competitions in a variety of distinctive settings. Now in his third season with Manuel Baum’s overachieving charges, the former Eredivisie leading marksman is hitting a sweet spot in southern Germany. Watch: Alfred Finnbogason hits a memorable Bundesliga treble against Cologne! "I've learned a lot about myself. You have to stay mentally strong and to think positively. You must never lose faith in yourself,” said Finnbogason of his career odyssey that will reach its peak this season in the diverse settings of Augsburg and Moscow. It is that unrelenting self-belief that has helped Finnbogason to find the net four times in seven games this term, a run that includes a Matchday 3 hat-trick – his first since a November 2013 treble with Heerenveen – in Augsburg’s 3-0 win against Cologne, as well as a fine assist for Michael Gregoritsch in Die Fuggerstädter's 1-0 win against RB Leipzig. What’s more, the Icelandic goal-getter fired in his club’s quickest-ever Bundesliga goal, netting within 33 seconds of the 2-2 draw with Borussia Mönchengladbach in August. 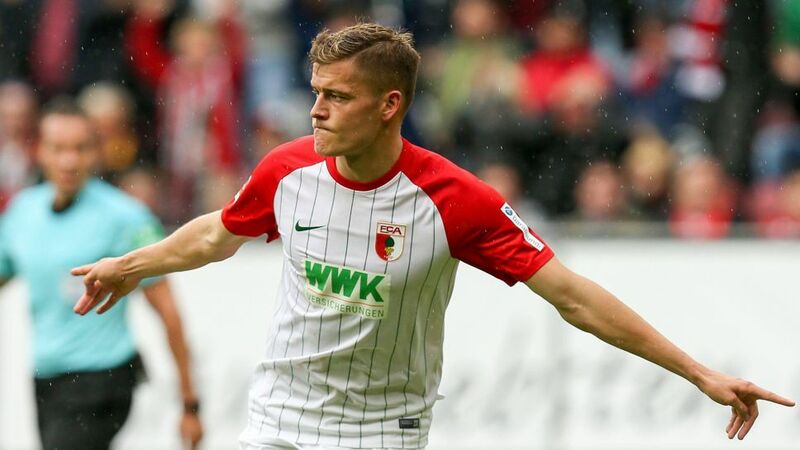 That feat saw Finnbogason become the only player to score two goals inside a minute for Augsburg, with the much-travelled forward managing a similar achievement [this time registering after just 46 seconds] in the 2016 victory away to Wolfsburg. Watch: Augsburg make statement with Leipzig win. Currently sixth in the standings, the Bavarians recently enjoyed a run of three successive wins that culminated in that significant scalp of last season’s Bundesliga runners-up, Leipzig. It was immediately following that game that Finnbogason captained Augsburg for the first time in the absence of the suspended Daniel Baier in the scoreless draw with Stuttgart. His own international reputation already confirmed thanks to 11 goals in 44 games and a major role for Iceland during the memorable UEFA EURO 2016 campaign, which included three goals, the forward and his countrymen have now perhaps exceeded that feat, reaching the dizzy heights of the World Cup for the first time in the nation’s history. Indeed, with Finnbogason currently firing on all cylinders, a glowing future awaits with club and country. Click here for more Augsburg news and features!